There are a number of credit cards that provide savings for topping up petrol in Singapore. The savings usually come in the form of direct discount, cash backs or rebates and specific reward points from the petrol company or the bank itself. Trying to figure out how the savings add up can be pretty mind-boggling but let us do the mind-boggling for you and summarise the savings through comparison tables below for the best credit cards for the commonly used Grade 95 petrol at each petrol company. Esso has the largest number of petrol stations around Singapore and is also linked to a number of credit cards for discounts. It is worth noting that credit card discounts can be stacked with Esso Smiles Rewards Program which awards motorists with 1 Smiles Point for every litre of petrol. 750 Smiles Points can be used to redeem $30 worth of petrol and drivers who pump above 250 litres petrol in a month can earn 35% extra Smiles Points. The Smiles Points are equivalent to 2.4% discount for drivers who pump 250 litres petrol and above in a month and 1.8% discount for drivers who fail to pump 250 litres in a month. The DBS Esso MasterCard Card offer savings of up to 23.6% at Esso with a 18% direct discount onsite + 2.4% Smiles Points + 3.2% cashback. The 3.2% cashback is in the form of $7 cashback with $180 nett spend on Esso Fuel for each calendar month ending 31 Dec 2019. This card offers the highest direct discount without any minimum spend for Esso petrol in Singapore and is one of the best card for drivers who are looking for a no-frills credit card for petrol. Citi Cash Back Card provides savings of up to 23.3% with a 14% direct discount onsite + 6.88% cashback + 2.4% Smiles Points. The cashback requires a minimum spend of $888 capped at $25 a month and stacks with a promotion for Citibank credit cards which reward cardholders with $10 rebate with minimum $250 spend. OCBC Plus! Visa Credit Card awards cardholders with a $15 rebate with min. $300 nett fuel purchase in a month at Esso. This works out to be a 4.3% discount at Esso. An additional promotion that ends on 30 Jun 2019 also awards $5 rebate with minimum $200 nett fuel spend charged at Esso within a calendar month. Both promotions stacks with exisiting OCBC credit card discounts for savings of up to 23.0% at Esso. Shell has a Shell Escape Rewards Program which is similar to Esso Smiles Rewards Program. Motorists are awarded 1 Shell Escape Point for every litre of petrol pumped and will still receive their credit card discounts. 1100 Shell Escape Point can be used to redeem $40 worth of petrol and that is equivalent to 1.6% discount. Motorists who pump Shell V-Power Nitro+ will earn 1.2 Shell Escape Points for every litre pumped instead and that is equivalent to a lower 1.3% discount. The BOC ZaoBao Card only provides 10% direct discount for motorists but makes it up with a unbeatable cash rebate of 23% for fuel at Shell. This provides savings of 32.3% with a 10% direct discount onsite + 20.7% cash rebate + 1.6% Escape points. The cash rebate is subjected to a minimum spend of $600 on the card but capped at a low $30 in a month. Citi Cash Back Card provides savings of 22.5% with a 14% direct discount onsite + 6.88% cashback + 1.6% Escape points. The cashback is subject to a minimum spend of $888 on the card capped at $25 in a month. The high minimum spending means that you probably have to consolidate your other spending in this card as well. Fortunately, that can be done if you plan your spendings and get 8% cashback on groceries and dining. The UOB One Card allows up to 22.4% savings at Shell with a 10% direct discount on site + 6.3% SMART$ + 4.5% cash rebate + 1.6% Escape Points. The UOB One Card provides cash back for all spending and it will be a good idea to consolidate your spending under this card. Spending on the card will also help you can get up to 2.44% p.a. 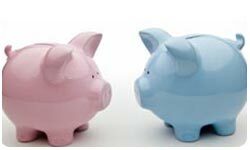 interest on savings in your UOB One Account. In comparison the HSBC Premier MasterCard Credit Card offer 20.76% savings at Shell with a 14% direct discount on site + 5.16% cash rebate + 1.6% Shell Escape points. Shell cash rebates are capped at $120 a quarter and are only awarded with a minimum of $800 charged for all three months in a quarter. Although the minimum spending a month is somewhat lower, the rules concerning this card are kind of restrictive as compared to other credit cards. 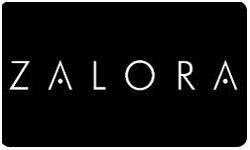 Since Mar 2016, Caltex has scrapped its Thanks! Rewards Program and has instead linked up with NTUC to be under the Plus! program. Motorists are rewarded with 3 LinkPoints for every litre of petrol pumped and existing credit card discounts will still apply. 150 LinkPoints can be used to redeem $1 across FairPrice supermarkets and their partners and that is equivalent to 0.9% discount for petrol at Caltex. Similar to the cash rebate for Shell, the BOC ZaoBao Card only provides 10% direct discount for motorists puming fuel at Caltex but makes it up with a unbeatable cash rebate of 23% for fuel. This provides savings of 31.6% with a 10% direct discount onsite + 20.7% cash rebate + 0.9% LinkPoints. The cash rebate is also subjected to a minimum spend of $600 on the card capped at $30 in a month as mentioned earlier. 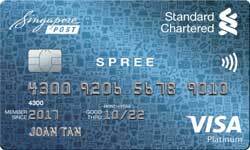 Standard Chartered Visa Infinite Credit Card help drivers save up to 24.19% at Caltex with a 14% direct discount + 9.29% rebate with minimum spend of $600 + 0.9% LinkPoints. The savings go up to 25.87% for Caltex Platinum 98 petrol due to a 16% direct discount. However the credit card is only avaliable for priority or private banking customers and most other Standard Chartered clients can choose the Standard Chartered MANHATTAN World MasterCard instead as it still offers up to 21.35% savings on petrol. All other Standard Chartered Credit Cards award up to 18.77% savings at Caltex with a 14% direct discount + 0.9% LinkPoints + 3.87% cashback. The OCBC 365 Credit Card allows up to 22% savings at Caltex petrol with a 14% direct discount on site + 2.8% cashback + 4.3% cashback + 0.9% LinkPoints. The 4.3% cashback is subjected to a minimum monthly spend of $600 on this card while the 2.8% cashback is subjected to a minimum monthly spend of $300 at Caltex. The same card also awards a 16% direct discount and up to 23.8% savings on Caltex Platinum 98 petrol at Caltex. OCBC Plus! Visa Card, OCBC NTUC Plus! Visa Card and OCBC VOYAGE Visa Infinite Card offers a direct 18% to 19% discount for any fuel grade at Caltex. This is noteworthy as the credit cards provide the highest direct discount without any minimum spend for petrol in Singapore. The HSBC Premier MasterCard Credit Card and HSBC Visa Platinum Credit Card offer 21.1% savings at Caltex with a 14% direct discount on site + 2% outdoor fuel payment terminal discount + 4.2% cash rebate + 0.9% LinkPoints. However as mentioned earlier, the cash rebates are capped at $120 / $250 a quarter and only awarded with a minimum of $800 / $600 charged for all three months in a quarter. In addition to the mentioned discounts above, motorists can snag another 2% discount for the first fuel payment with the CaltexGO App on purchased amountafter credit card discounts which equates to about another 1.6% to 1.7% off depending on credit card used. SPC doesn't have a loyalty program but is able to attract motorists with its consistently slightly lower prices and larger direct discounts. Similarly to the cash rebate for Shell and Caltex, the BOC ZaoBao Card provides 10% direct discount for motorists at SPC and provide potential savings of 30.7% with a 10% direct discount onsite + 20.7% cash rebate. The UOB One Card entitles up to 24% savings at SPC with a 15% direct discount + 4% cash rebate + 5% petrol discount. The cash rebate is subjected to minimum purchases and minimum monthly spend. 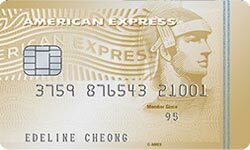 American Express Platinum Cards enjoy additional 7.1% savings via statement credit and when combined with exisiting discounts will grant cardholders 21% savings at SPC. All UOB Credit Cards have an additional 5% petrol discount at SPC which is calculated with a $3 petrol discount for every $60 gross spend. This promotion stacks with existing discounts and allows the UOB One Card to get up to 24% savings at SPC. The POSB Everyday Card gives 20.1% cash savings at SPC with 15% onsite + 5.1% cash rebate. 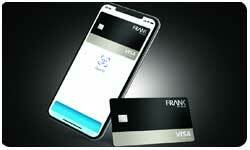 This is on top of its many discounts with key merchants. BOC ZaoBao Card provides 10% direct discount for motorists at Sinopec and can help motorists save up to 30.7% with a 10% direct discount onsite + 20.7% cash rebate. All OCBC Credit Cards have an additional 2% petrol discount at Sinopec on top of an existing 18% onsite discount. Motorists will be able to get up to 24% savings at Sinopec due if they use their OCBC 365 Credit Card due to the 5% cashback on fuel. The only drawback is that Sinopec currently only have 2 stations at at 301 Yishun Avenue 1 and 623A Bukit Timah Rd. The BOC ZaoBao Card gets our vote as it has the highest potential savings of 32.3% off petrol. The fact that it provides high savings for petrol at both Shell, SPC, Caltex and Sinopec is a bonus. The savings off petrol using this credit card is the highest we have ever seen since we started monitoring savings for petrol. However, the low $30 cap for cash rebate means one will hit the cap with only $144.93 ($30 / 0.207) nett spend at petrol. Fortunately, the same card is also a Cash Back Credit Card with 5% cash rebate for online and dining spend, therefore ensuring that one can still hit the minimum spend of $600 in a month easily. Another credit card worth a mention is the UOB One Card which awards motorists with up to 24% savings at Shell and SPC. It had always been our choice credit card for petrol until it was dethroned by the BOC ZaoBao Card. This card is also a Cash Back Credit Card which awards up to 5% cash rebate on anything subjected to a minimum spend depending on your cash rebate tier. Prefer the Citi cash back card as can use to get extra cash back for shell and esso. 8% cash back is a lot for u consider the prices of petrol in sg. Don't really trust petrol from spc even though it seems to have more discounts as compared to the others.